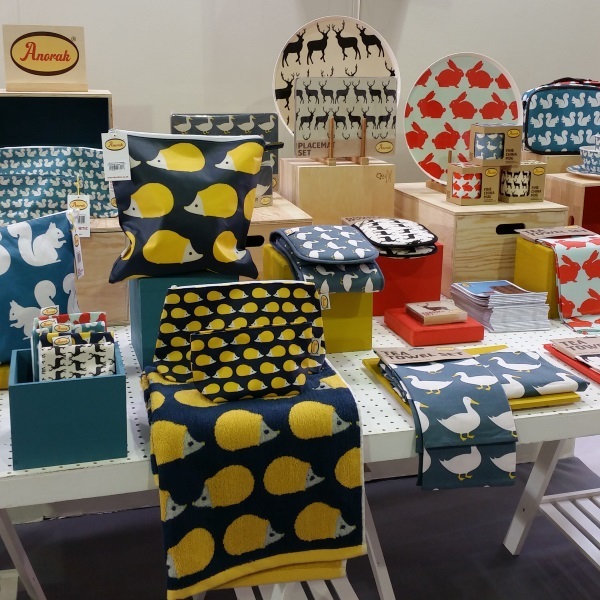 A couple of weeks ago, Pete and I paid a little visit to the absolutely stunning trade show that is Top Drawer. 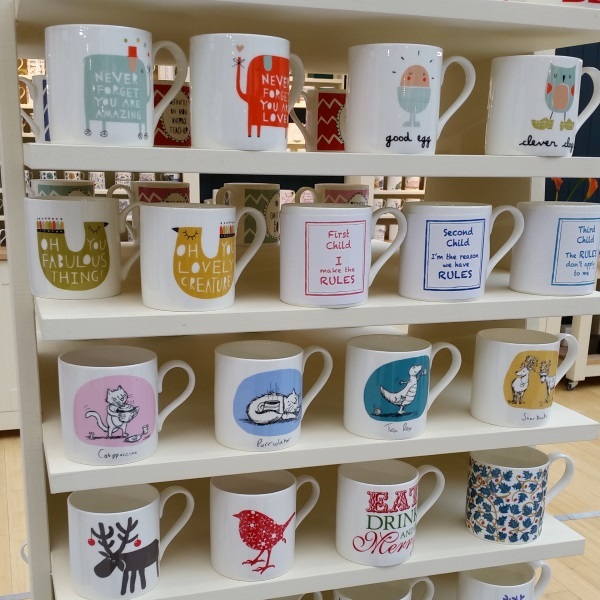 Taking place at London Olympia’s Exhibition Centre, it’s a trade show aimed at those operating in the gift industry from the biggest department stores to the smallest independents. Now I must confess that our attendance was on a slightly cheeky premise since I wasn’t really there to do any buying for DaisychainBaby, but as a couple of my friends were exhibiting and I do have a bit of a crazy passion for interiors, we snuck in and were just very honest and up front when chatting to people that we wouldn’t be buying 1,000 tea towels. But oh! How I wish this show was open to the public, a small fortune would definitely have been spent. 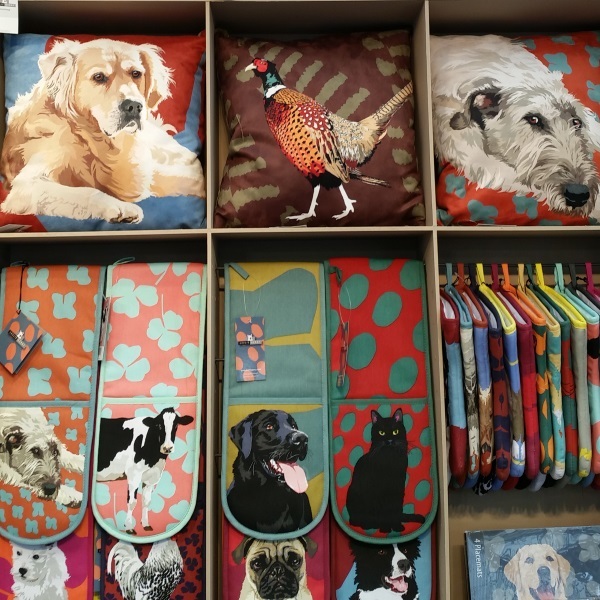 It is absolutely stunning and had we not just come back from holiday the day before we would definitely have spent more time there, although no doubt had we done I’d want to be selling interiors related products instead of children’s clothes. All the stands look so beautiful, and the show offers everything from interiors to stationery, fashion to Christmas decorations. It’s like an Aladdin’s cave of high-end treasures. I did feel conscious taking too many photos because unsurprisingly I didn’t want people to think I was trying to steal their ideas. In my opinion it’s always polite to ask traders or stall-holders if you can take photos, especially those who are making or designing their own products but a trade show is a slightly different environment so I took a few and then moved along. 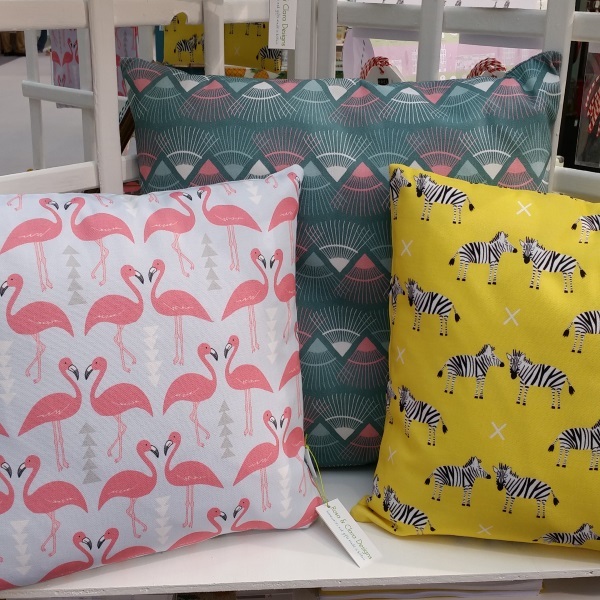 These lovely cushions are from Rosa & Clara Designs who also make the most beautiful lampshades, if you’re a regular blog reader you may remember we have one of their pineapple lampshades in our spare room. The very next purchase however will be from this lovely lot, Anorak Online. 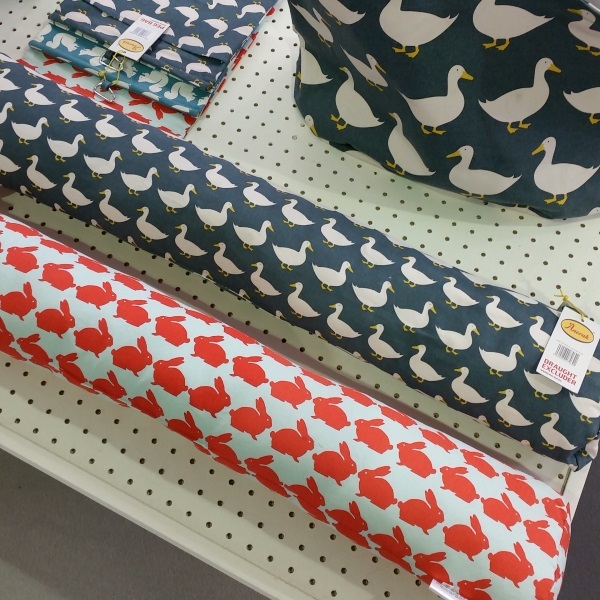 The bright colours and modern-animal themed designs appealed to me so much so I did take a card and really, really want this hedgehog doormat for our hallway and this waddling ducks draught excluder. Our front door is in desperate need of replacing and until we can get afford the one we want, we need to figure out a way of preventing it letting out so much heat. Where do you take inspiration from? Is there a favourite shop or market you like to visit? Oooh I would have been beside myself to attend this trade exhibition and to not be able to buy anything must have been awful. Beautiful things.